Headquartered in Frisco, the Dallas Stars are members of the Central Division of the Western Conference of the National Hockey League (NHL). Their executive offices are located in Frisco, as well as the majority of their practice sessions. Games take place at American Airlines Arena in downtown Dallas. 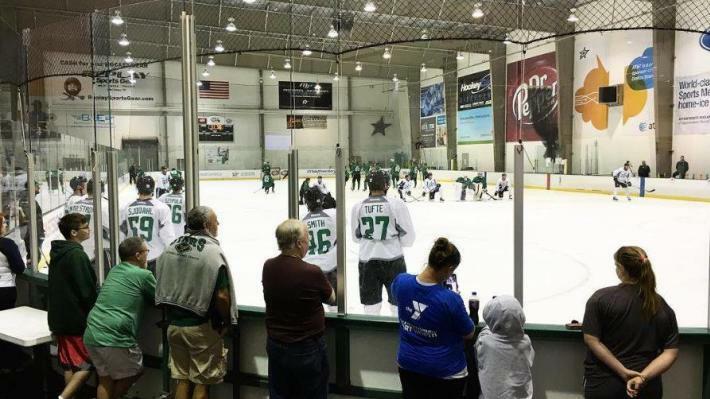 Dallas Stars practice sessions that take place in Frisco at Dr Pepper StarCenter are free and open to the public. A schedule of these sessions can be found on our Calendar of Events or the Dallas Stars website. Dr Pepper StarCenter also hosts multiple special events throughout the year including tournaments, development camps and youth hockey programs, as well as community skate nights and public rink access.